Rekindled love + Scottish romance is an action-filled Murray Series book. Lady Annys MacQueen is fighting for her son’s inheritance, and when she has no other choice, Annys must call on a man who she has a passionate history with. When Sir Harcourt Murray returns to help Annys save her son’s inheritence, he’s got more at stake than he thought. 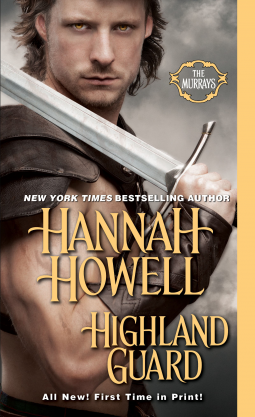 You’ll find another great Highland romance by Hannah Howell in Highland Guard.